In order to maintain general safety of passengers, the requirements on cables in rail vehicles have always been very high. The new European Standard DIN EN 45545-2 goes on to increase the requirements regarding fire protection in rail vehicles. Besides being halogen free all used cables have to be flame retardant and self - extinguishing and are not allowed to contribute to fire propagation. SAB Bröckskes Ethernet cables of the categories 5, 6 and 7 have proved best performance in practise under harsh environmental conditions. 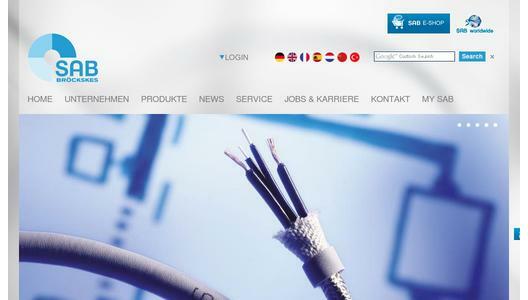 Due to the current and future development in automation and rail industry and the steadily increasing data volumes and rates, the cable manufacturer SAB Bröckskes (Lower Rhine) now offers the new rail FRNC cables acc. to DIN EN 45545-2 especially for rail industry. 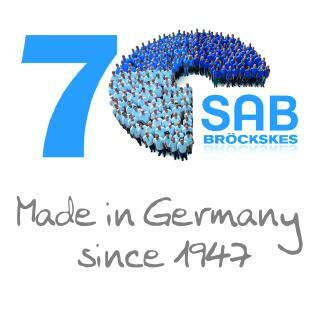 SAB Bröckskes is a worldwide leading manufacturer of special cables, cable harnessing and temperature measurement technique. 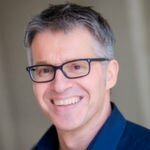 More than 60 years of experience in cable production as well as temperature measuring technique have made a one man business a company with nearly 500 staff members. Our strength is not only the production of standard product but also the construction of special items. 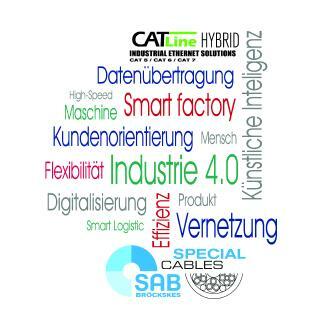 Every year SAB manufactures more than 1500 special cables on our customers' request.